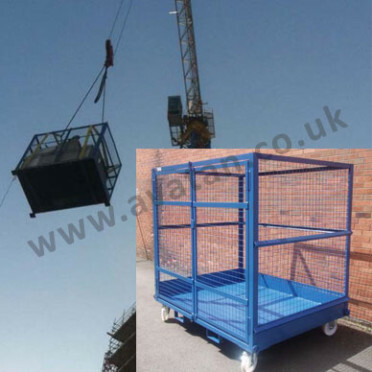 Mobile or static heavy duty crane lift stillages for handling of building materials by crane or fork lift. Manufactured and individually tested to order. Any size and quantity. 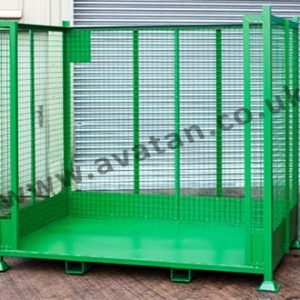 This illustrated crane liftable cage pallet is 2000mm x 1500mm x 2000mm high but we can manufacture any size. 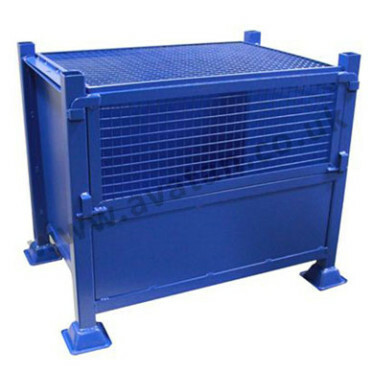 These were used at the London Shard lifting goods from ground level up to building level throughout the construction process. 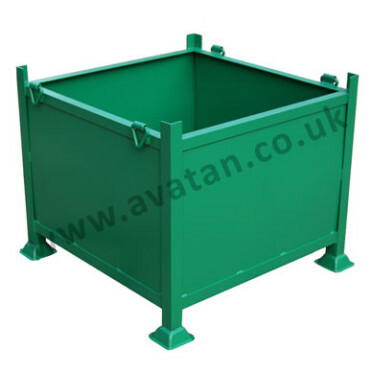 Mounted on four swivel braked 200mm diameter castors, it could be easily manoeuvred into tight spaces or lifted by crane or forklift. 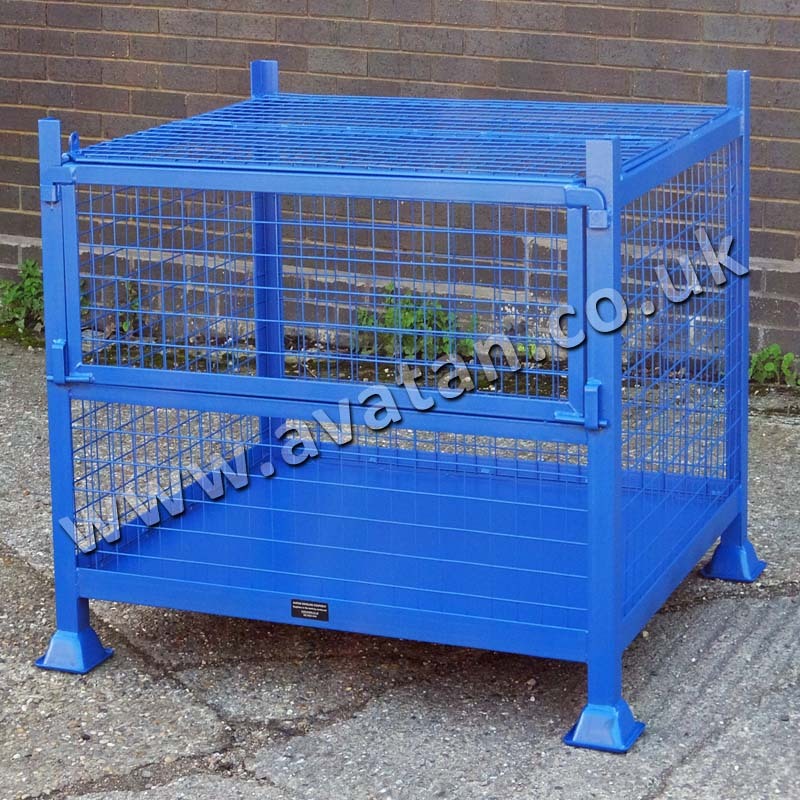 Individually load tested, this steel cage was manufactured and approved for 1400kg uniformly distributed load using 2800kg proof load. 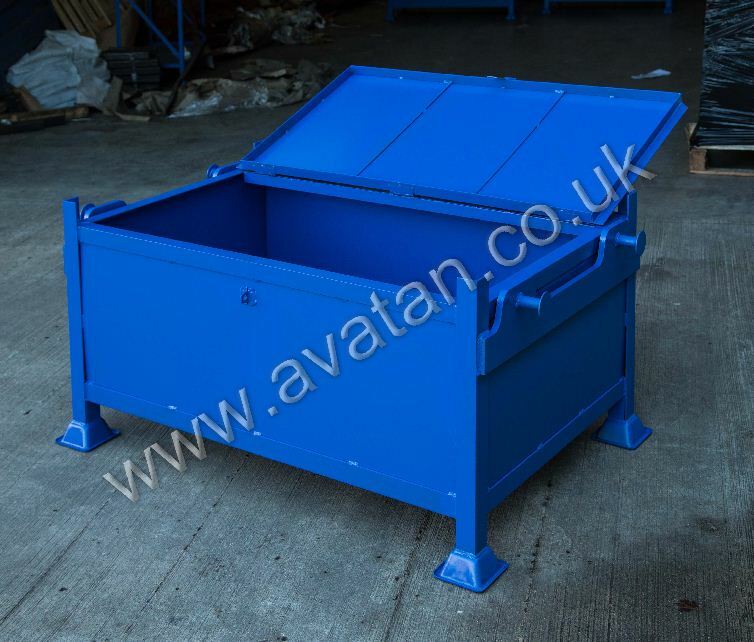 Crane lift pallets may also be supplied with sheet steel sides, see additional pictures. 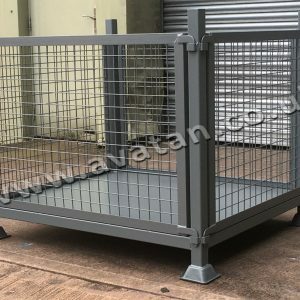 Pictured also with pallet feet instead of castors, these can then be stacked in line with other stackable steel stillages. Load testing is carried out independently and certificate issued confirming the approved safe working load. 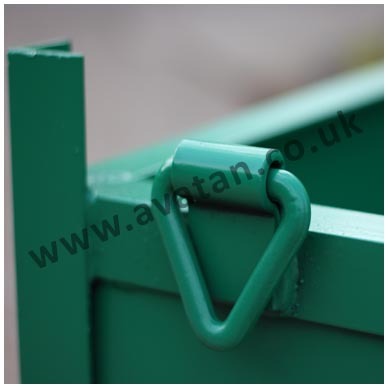 Alternatively, to reduce testing costs, strops can be used supporting the stillage from the underside. In this case, it is only the strops that need to be routinely load tested and certified suitable for the load they carry.